While your body naturally produces a number of digestive enzymes to support healthy digestion, a particularly heavy meal may sometimes leave you with feelings of indigestion. 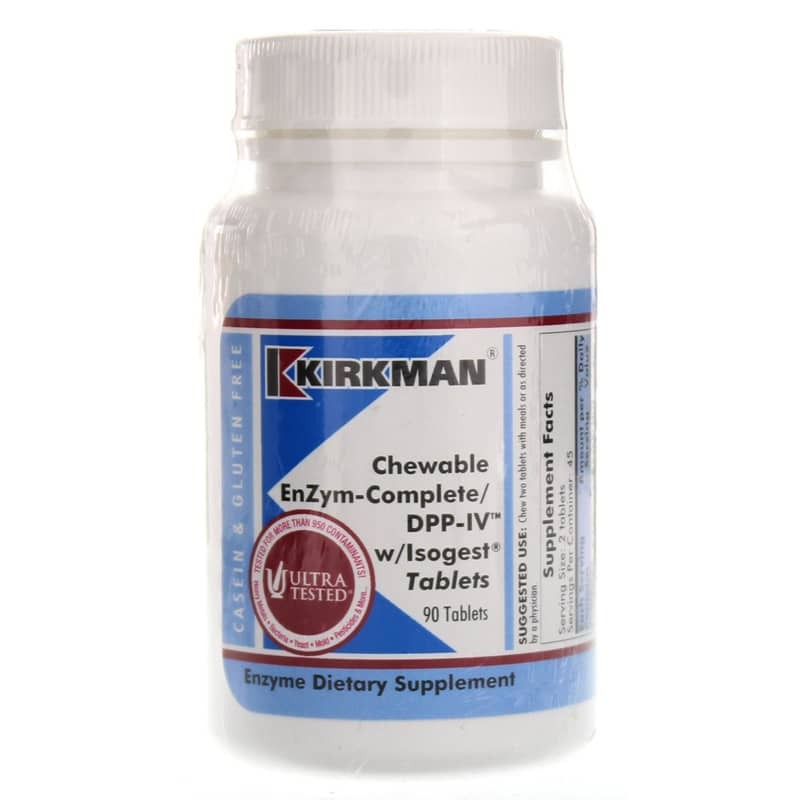 Kirkman offers a product called Chewable EnZym-Complete/DPP-IV w/Isogest, which provides the extra enzyme support you need for optimal digestive health and function. 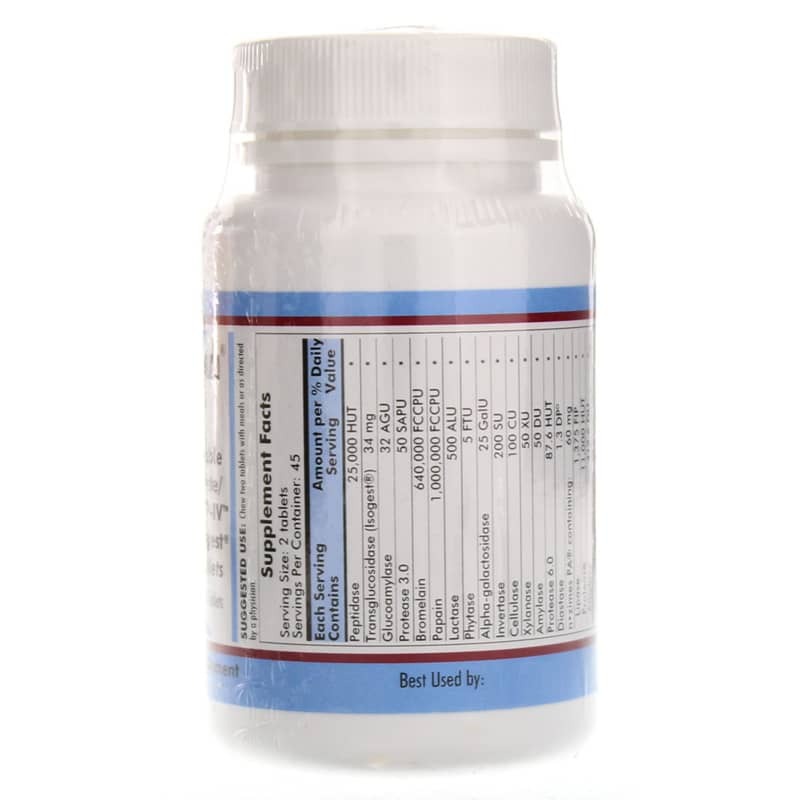 Every batch of Chewable EnZym-Complete/DPP-IV w/Isogest comes in an easily chewable tablet that has a great-tasting natural berry flavor you'll love. Each tablet is naturally sweetened with xylitol and fructose. Make the right choice to maintain optimal digestive health. Give Chewable EnZym-Complete/DPP-IV w/Isogest a try today, and see the difference it may be able to make for you. Order now! Other Ingredients: Fructose, Xylitol, Natuaral Mixed Berry Flavoring, Magnesium Stearate, Silicon Dioxide, Maltodextrin. Contains NO: Sucrose, wheat, casein, gluten, milk, egg, gelatin, artificial flavorings, colorings, peanuts, tree nuts or fish. 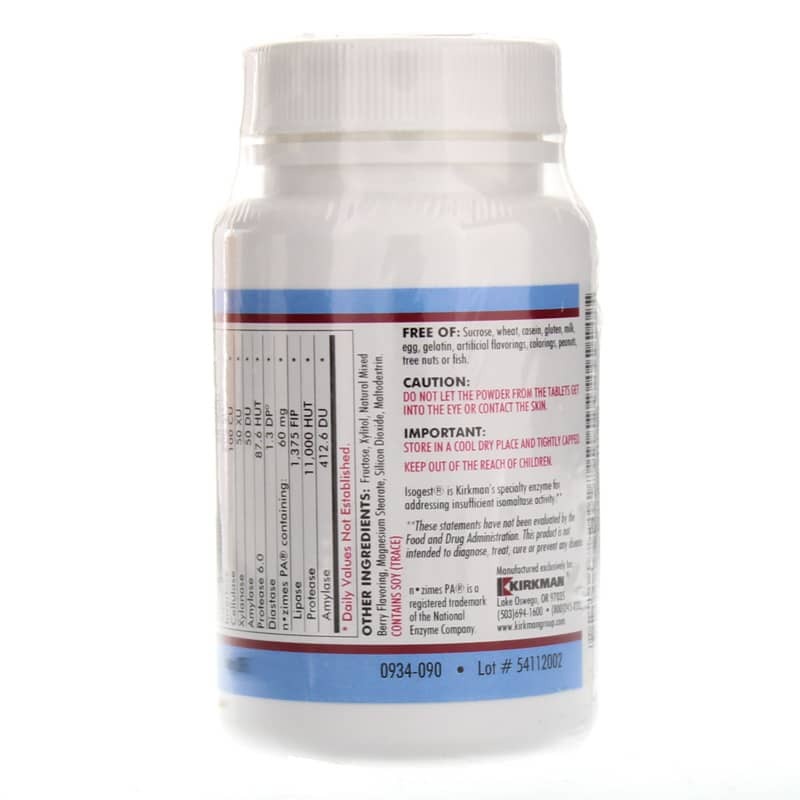 Adults: Chew 2 tablets with meals or as directed by a physician. Do not allow the powder from the tablets to get into the eye or contact the skin. If you are pregnant or nursing, please consult your healthcare professional before using this product. Keep out of the reach of children.